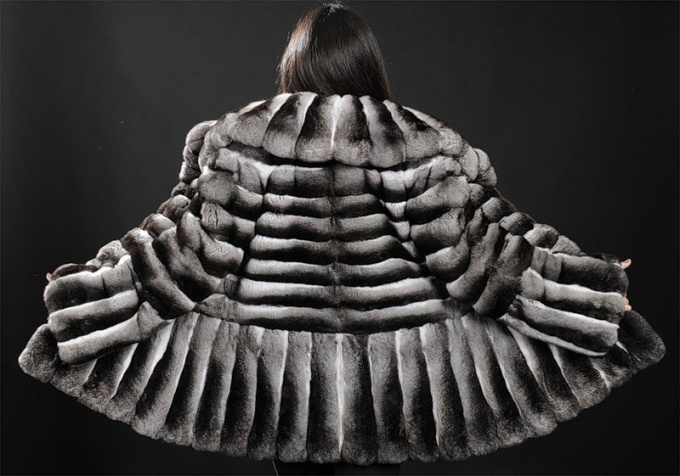 The popularity of fur products in Russia is certainly determined by the peculiarities of the climate. But expensive coats are not just for heating in cold winter and decoration of the owner, but also to determine its social status. One of the most costly furs is a fur of the chinchilla. Glassware from ancient times pointed to the high social status of their owner. The first who erected a fur coat of the chinchillas to the rank of Royal attributes was the Incas - in their opinion, the right to wear such things was only to the nobility. On the European continent fur this fur-bearing animal was brought by the Spanish explorers, and fur coats originally appeared in the Royal Palace. The price was so high that only rich people could afford to buy them. And now chinchillas fur is quite expensive, and afford the luxury not everyone can. In addition, such a financial investment is still not profitable, because the fur is very whimsical to wear and require special care. To the touch it is very soft, fluffy, light and silky, but is prone to rapid wear and abrasion. Chinchilla coat is incredibly thick, if other fur-bearing animals from the same follicle grows just one hair, chinchilla - 60 to 80 of the finest hairs. In addition, the fur of the chinchilla has a thick layer of silky fluff, which warms rodent in cold weather. Unusual color of the cat adds a special uniqueness and attractiveness of fur. Modern breeders of these animals displayed animals with unusual fur color. But his production is still limited, and that stimulates to higher prices. The cost of the fur of the chinchilla ranges from 150 000 to 350 000 rubles and depends on the length of the product, quality of manufacture of fur, its color and length of the pile. To buy such costly things are better in specialized shops with a good reputation, because only there I can guarantee the "authenticity" of fur and its quality. To wear fur chinchilla very fastidious, and for as long as possible to preserve the attractive appearance of the product, it is necessary to ensure proper care and to be very careful in its use. Chinchilla fur is very quickly wiped off, so this coat is not designed to wear every day. First of all, you need to eliminate trips on public transport, and private car need to be very careful to sit in such a coat is not recommended to subject it to mechanical stress it is impossible in any case. Storage of fur coats during the summer period also need to be taken very seriously. Experts recommend for storing use a special refrigerator for furs with a certain level of temperature and humidity, but if there are none, the product can be placed in a spacious closet in a breathable bag. The chinchilla coat in any case should not be rolled or folded, as this can lead to the appearance of creases and scuffs on its surface. Before placing in storage the coat should be gently but thoroughly brush, comb, with special attention to the collar and the inner part of the sleeves. In addition, preferably the product processing protivopolojnym means.